When it comes to vacations, you want to be able to spend your time relaxing, not worrying about how to get out of a timeshare. In fact, if you spend your time worrying or end up skipping your vacation entirely, it can have some pretty serious consequences for your health and well-being. When you bought your timeshare, you thought that it would enhance your life and make going on vacation easier. Boy were you wrong. Vacation has now become a source of tension for you and your family, and you may even end up skipping it altogether. Your vacation time is supposed to be your time to relax, unwind, and enjoy your life. You should have to reconnect with your family and live life at a slower pace. During your normal, non-vacation life, you work a high-stress job. You worry about money, schedules, bills, and whether or not you are getting enough sleep and drinking enough water. You have to balance working out, eating healthy, a full-time job, your family, hobbies, friends, well you get the picture. It’s a lot. You are expected to do and juggle a lot. Your vacation is supposed to be a break from it all. If wondering how to get out of a timeshare is clouding your vacation time, you may not be able to fully relax. Or your timeshare may be so expensive because of maintenance fees and interest rates that you can’t afford to go on vacation. Or maybe you can’t book the time or resort that you want due to unfair booking practices by the resorts. So you end up skipping your vacation entirely because you can’t figure out how to get out of a timeshare. Let me tell you, this is a terrible idea. Remember all that daily stress you have in your life? Well, vacation is supposed to be your time to escape that. Living with chronic stress has some serious health consequences. Here are just a few ways stress can affect your health and well-being. Stress leads to increased levels of cortisol. This is also known as the stress hormone and is responsible for some pretty bad side effects. It can cause your body to store belly fat and lead to obesity. It may also be linked to insomnia and trouble sleeping. Increased blood pressure. Stress can cause your blood pressure to rise which has all sorts of negative health consequences. Cardiovascular issues. Stress can lead to cardiovascular issues like heart attack and other problems. Trouble sleeping. Increased stress levels can cause you to have a hard time sleeping. This makes being productive and getting your job done difficult. It can also put you in a bad mood around your family and friends. These are just a few of the ways that stress can negatively impact your life. As you can see you have to figure out a way out of your timeshare so you can get your vacation back. But you do not have to do it alone. Our timeshare exit team is here to help. You are probably wondering what exactly a timeshare exit team is. Well, we are a team of professionals who know the ins and outs of the timeshare industry. We are not in the business of timeshare resales, and we do not work for the resorts. We work for you. We will begin the completely legal but very complicated process of timeshare cancellation on your behalf. 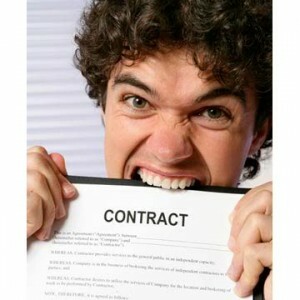 When you cancel your timeshare, you make the contract null and void, like it never even happened. In some cases, we can even help our customers get a refund from the timeshare company. You read that right, it is possible that you may be entitled to a refund from the timeshare company. But you won’t know until you call. Stop wasting your vacations and stop living with the negative consequences of your timeshare. Call us today to get rid of your timeshare and get your vacation back!